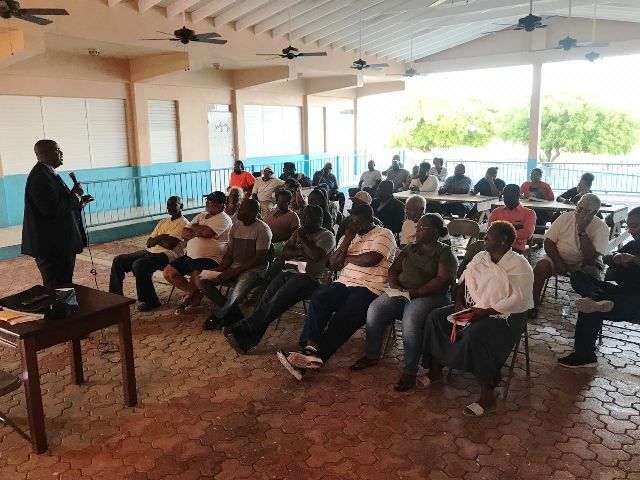 Leader of the Opposition, Honourable Andrew A. Fahie (R1), on June 10, 2018, took another meeting to the residents of the sister islands—this time to Anegada,—to listen to their issues and bring forward solutions. 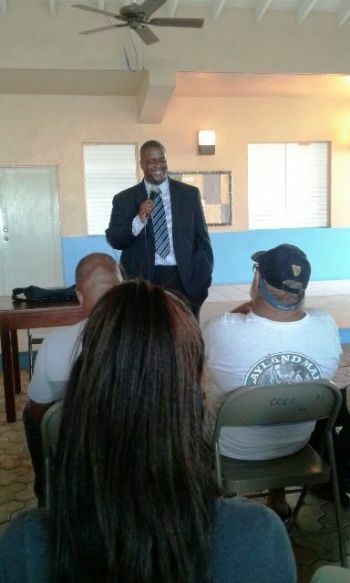 Like he did at his meetings on Virgin Gorda and Jost van Dyke, Hon Fahie, called on Anegada residents too, to “flip the pyramid,” since, the Premier and his Ministers along with the House of Assembly Members and Technocrats are at the top of the ‘power pyramid’, and the people are at the bottom. The Opposition Leader explained saying, people are at the bottom of the power structure, “forgotten and disrespected” and its time the people excise their power. Many residents of Anegada however, did not want to hear about their district representative, Dr the Honourable, Hubert R. O’Neal (R9), since they claimed they have not seem him for months on Anegada—a part of the ninth district. Hon Fahie told Anegada residents, he also wants “all Cabinet decisions to be public, as all five members must be held accountable,” not just one member whose portfolio is the subject of controversy. Hon Fahie used the opportunity to announce also that he will be meeting with bankers, to address the issue of a lack of banking services on the sister islands. At the end of his well-received presentation, Hon Fahie opened the floor for an interactive questions and answers session where residents raised concerns surrounding the lack of good ports facility; issues related to the single working generator—out of four—at the BVI Electricity Corporation; the lack of rehabilitated or repaired shelters for the Hurricane season, and making Anegada a main ports for cargo. While the NDP fighting for power, Hon. 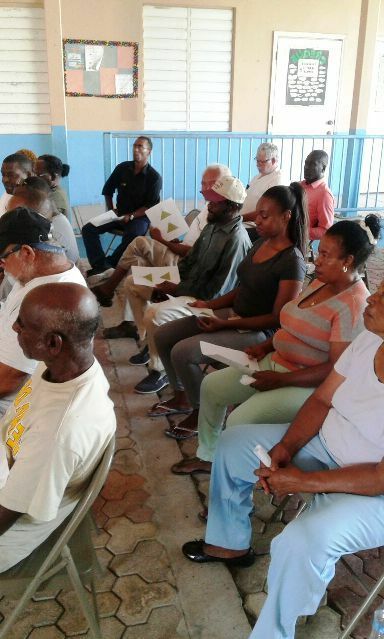 Fahie is fighting to empower the people. I agree that it is time to flip the pyramid. At least somebody remembers and cares about the sister islands. I went to the public meeting in VG with a negative mind towards Fahie but I left fully impressed with him and with a positive mind towards him and his ideas. As an Anegadian I want to applaud Fahie for having such an outstanding meeting and a clear path forward. Keep coming to us in this manner please. To me Fahie is as genuine a human being as you can get on earth. He has his faults but don't we all. Fahie clearly is an intelligent man and despite the few naysayers he will serve this country well as Premier. Wonder what is the motive. People like you hard to please because dam if you do and dam if you don't. fraser just dis he, not even knows his name?